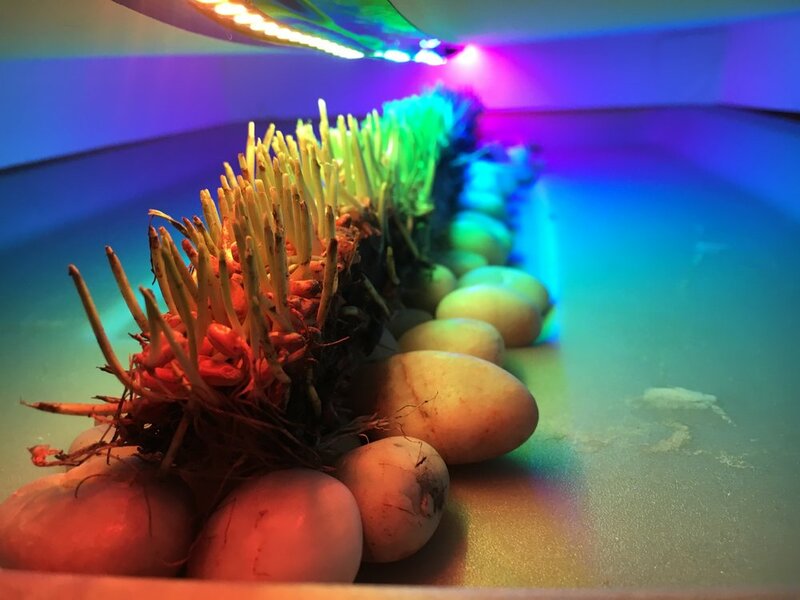 Using self-addressable LED strips, I attempted pixilating wheat grass by controlling the color and brightness of each LED pixel. 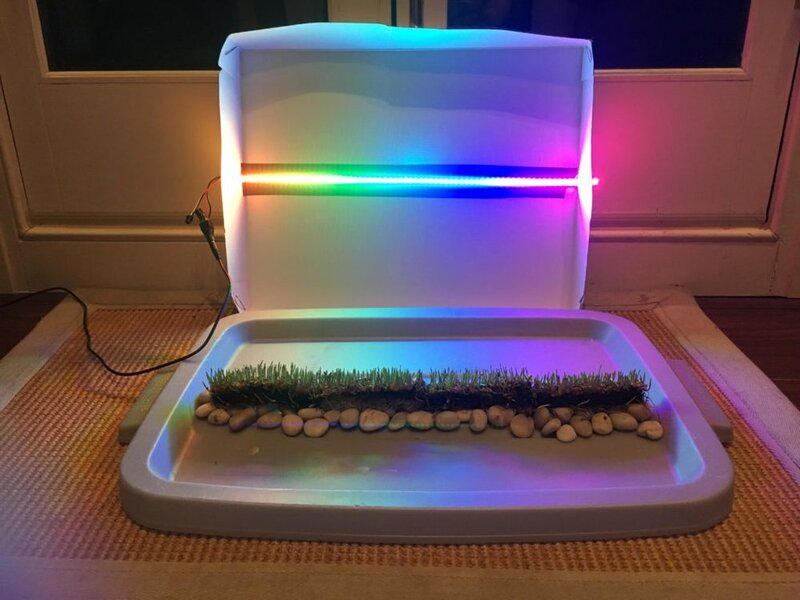 In my experimentation, I aimed to find out if the color wavelength of an LED pixel would affect grass growth or coloring (in the end only brightness seemed to make a difference). I then grew three species of microgreens (that were naturally red, green and blue) under different lighting conditions. I aimed to see if it was possible to control the overall color value of a "pixel" by favoring the growth of the R, G or B microgreen species (spoiler: it's not). The deeper context of this project was to develop an application using only solar power. 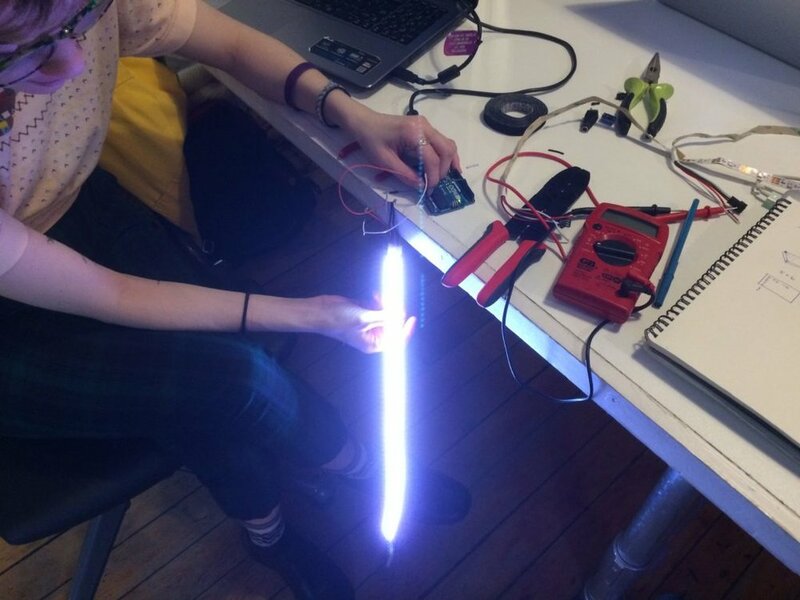 A 5V solar panel fully powered the LED strips and the micro controller that controlled the pixel values. 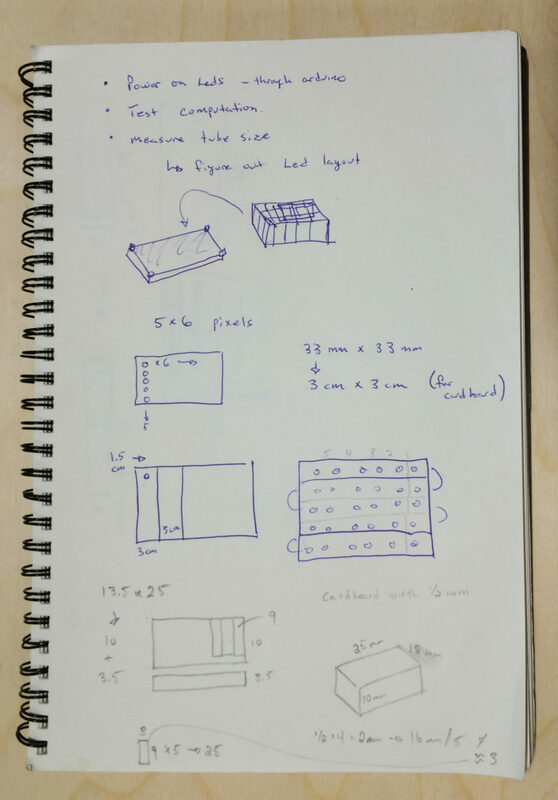 Having realized the absurdity of using solar light to produce…more light, I’m working on another iteration of this project that focuses the sunlight (with solar concentrator) and brings it indoors with a fiber optic cable to grow indoor plants.